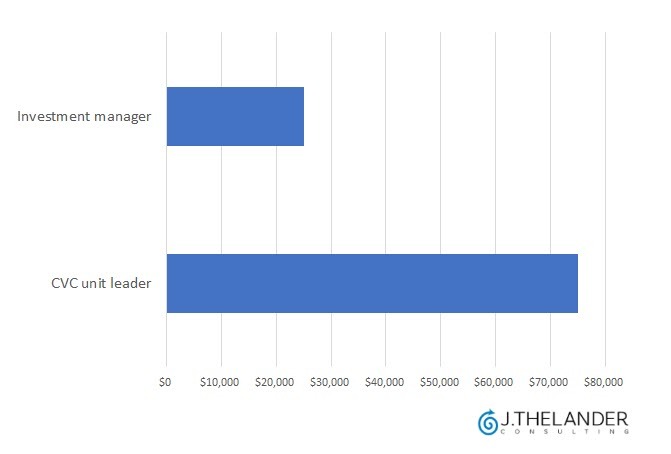 For corporate venture capitalists, compensation comes in a different form than it does for traditional VC investors. CVCs tend to be paid through a variety of cash, carried interest and corporate stock from their parent companies, among other means. 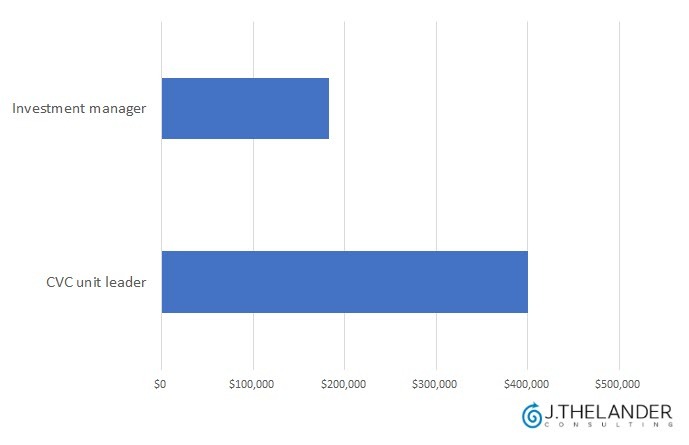 Using data from J.Thelander Consulting, which provides compensation data for private companies and investment firms, we've put together information on how—and how much—CVC investors at different levels are paid. For information on how to get more compensation data, visit J.Thelander Consulting. All data in the charts below is from 2017. Click here to participate in this year's investment firm survey, and click here to take part in the corporate venture capital portion of the investment survey. Participating in either survey will give you access to demographic information and compensation data for both investment firms and CVC units. 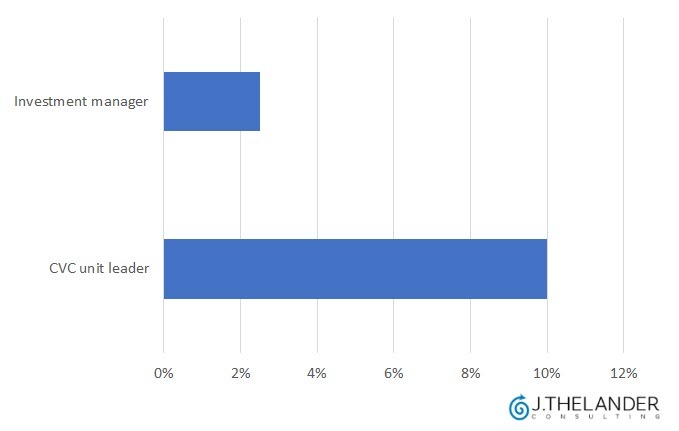 All participants will also receive free access to the newly launched Thelander Silver Platform, which gives users the ability to run custom compensation reports. Check out more of our compensation coverage. And visit J.Thelander Consulting for more compensation information.